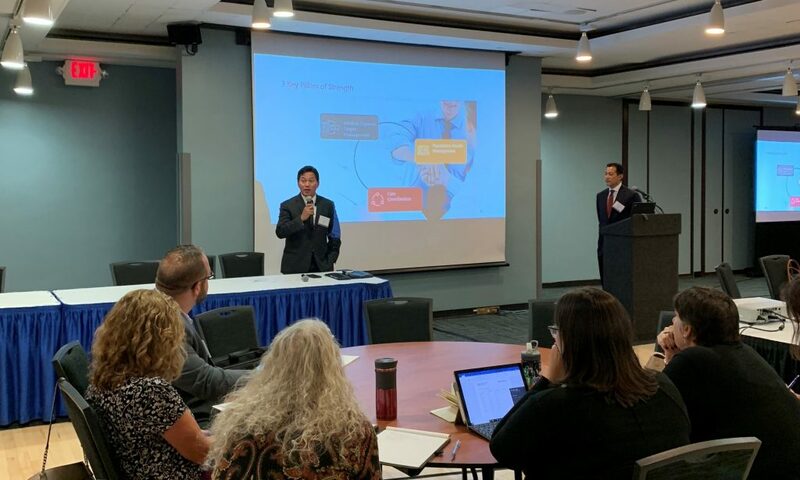 Schenectady, N.Y., November 13, 2018—On October 20, MVP Health Care’s Vice President of Clinical Transformation, Dr. Cupid Gascon, and Dr. Daren Wu, chief medical officer of Open Door Family Medical Centers in Westchester and Putnam counties, made a presentation at the New York State Department of Health’s Value Based Payments (VBP) Bootcamp. VBP Bootcamps are a regional learning series designed to equip VBP contractors and interested parties such as managed care organizations, providers, associations, and community based organizations with the knowledge necessary to implement payment reform. MVP Health Care and Open Door have a five-year history of partnership which has resulted collaboration to prepare for shared risk and shared savings and, most importantly, excellent outcomes for shared patients and members. “The partnership between MVP and Open Door is a win, win, win arrangement that benefits patients, provider and payer. We are now focused on improving value and quality together, in unity, rather than the almost traditional adversarial relationship that often exists,” said Wu. As in any partnership, both parties have contributed to the success through a shared commitment and a shared investment. “Our members are at the center of a VBP contract, but we understand that we need to consider providers, too. Our partnership brings with it a shared focus on value and quality. It’s a shared destiny,” said Gascon. Open Door is Westchester and Putnam County’s leading expert in all aspects of health, with a broad focus on building healthier communities. From prevention and wellness programs, to the treatment of diseases, Open Door sees its primary mission as keeping local communities healthy and strong, regardless of people’s ability to pay.